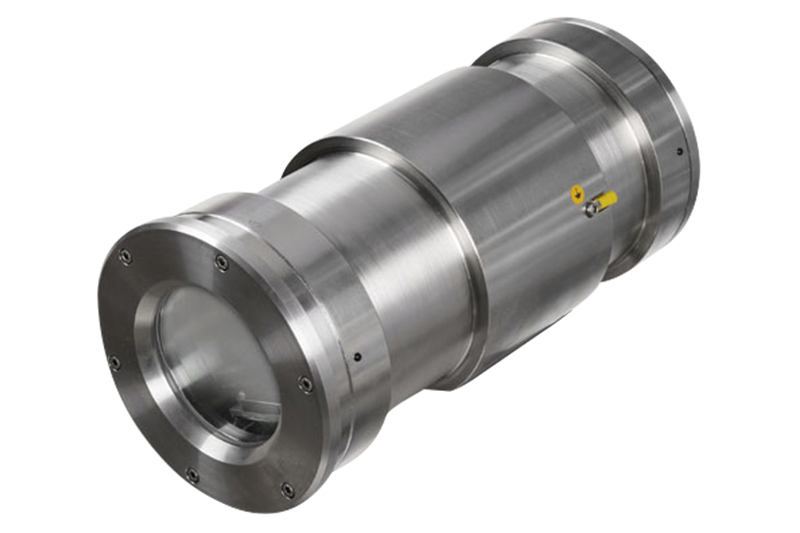 CHEP-SS Series is an ATEX certified fixed camera housing, made of AISI316L Stainless Steel, engineered for hazardous area application. It has been specifically designed for underground mining applications. CHEP-SS camera housings are equipped with standard heater to demoisturize the enclosure’s front window. The camera housing’s design ensures best protection against external agents and allows an easy set-up and maintenance service. CHEP-SS camera housing is suitable for the installation of cameras at customer’s discretion (subject to ATEX regulations). AISI 316L Stainless Steel construction. Certified specifically for underground mining applications. Available for installation of cameras at customer’s discretion, subject to ATEX restrictions. Fitted as standard with a heater/demister. Optional version with triple heater for operating temperature up to -50°C. Suitable for direct optical fiber connection.